You shouldn’t have any reason to be bored this September and when you plan your limo service to take you to all the various events, you’ll always arrive in style too. The Los Angeles area is full of festivals, concerts and cultural events all month long. Some events only last a day while others last all month long. Don’t make excuses. Get out and enjoy the last days of summer. Explore the city streets or enjoy music at the beach. Make sure to have a limo waiting and you’ll always arrive home safely and comfortably. 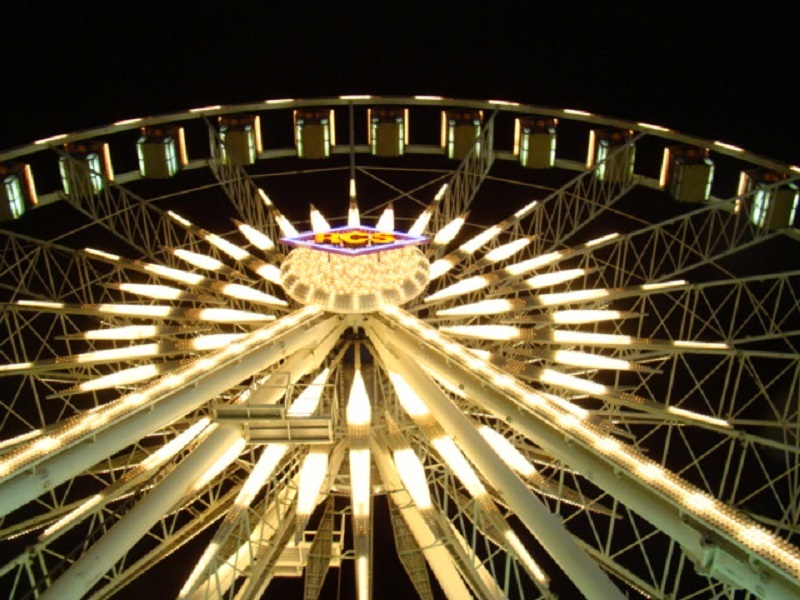 The Los Angeles County Fair is a can’t miss event in September. It runs all month long, so you’ll definitely be able to find at least one day to attend. Check out the full event schedule to see if there are any specific events or concerts you want to attend. This will help you plan which days you want to join in on all the festivities. The great thing about hiring a limo for the fair is you won’t have to worry about parking or traffic at the end of a busy day. Any lover of theater or Shakespeare shouldn’t miss Shakespeare At The Bowl. Plan quickly because this event happens on September 1st at the Hollywood Bowl. Enjoy classic scenes and music by the LA Philharmonic. It’s the perfect way to experience Shakespeare like never before. Do you love to dance? Even if you have two left feet, the Dance Downtown event, which happens throughout the summer, helps you learn to find the rhythm inside yourself. It’s a fun way to meet new people, learn a few impressive dance moves and just have fun dancing the night away. It’s free to attend, so get up and let the music take control for a while. Oktoberfest is too incredible to be limited to a single month. Many areas in and around Los Angeles begin Oktoberfest events starting in mid-September. Restaurants, beaches and popular recreational areas all hold major events that you don’t want to miss out on. Pick a few in your area and start celebrating early. You can always go to more in October. Don’t forget to plan your limo service so you’re free to have a good time without having to worry about driving. Take a trip to the Paramount back lot for some of the best wine and food that Los Angeles has to offer at the LA Times The Taste event. The event begins September 2nd and runs the entire weekend. While it’s not free, it’s the best way to try cuisine and wine from the best restaurants in the area, all in a single place. Go with an empty stomach so you’re able to sample everything. Get music and art at Tar Fest on September 24th. It’s a free event full of music, art, film and more. Plan to spend most of the day if you want to truly experience everything the festival has to offer. You’ll probably be rather tired afterwards, so plan your limo service to pick you up so you can relax in luxury all the way home. If festivals aren’t your thing, there are plenty of concerts from major artists throughout September. Plan your limo service to take you to and from Lee Brice or Drake & Future. Gather your friends and sing to your favorite playlists all the way to the concert. Treat yourselves to a nice dinner after the show. Since many people are off from work for the Labor Day weekend, it’s a popular time for September events. We’d need several posts just to give you a glimpse into all that Los Angeles has to offer for the weekend. Try Fiesta Hermosa or Buskerfest. You could experience Greek culture at the Long Beach Greek Festival. You can’t attend everything, but you’ll find plenty of Labor Day weekend options to choose from. September in Los Angeles is yet another fun-filled month. Start making your plans today so you can plan your limo service as well. Special events are even more special when you get to ride in a limo with your friends. After all, isn’t that part of the fun – spending extra time with those you care about? Have you already picked out your event(s)? Contact us today to reserve your limousine today.